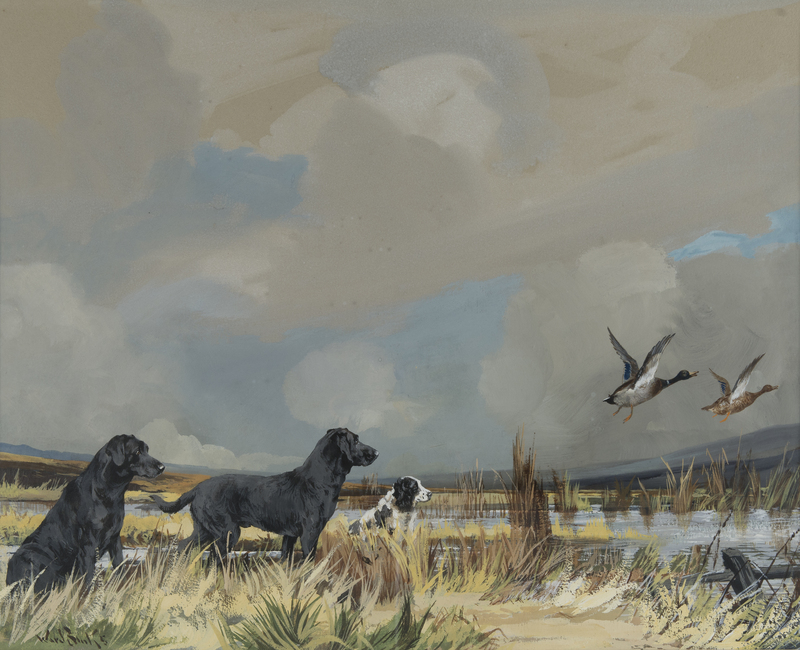 Over 40 original watercolors by English artist Reuben Ward Binks (1880-1950) were donated to the National Sporting Library & Museum in 2017 as part of a generous bequest from the late Mrs. Elizabeth Dunn Clark of Middleburg. 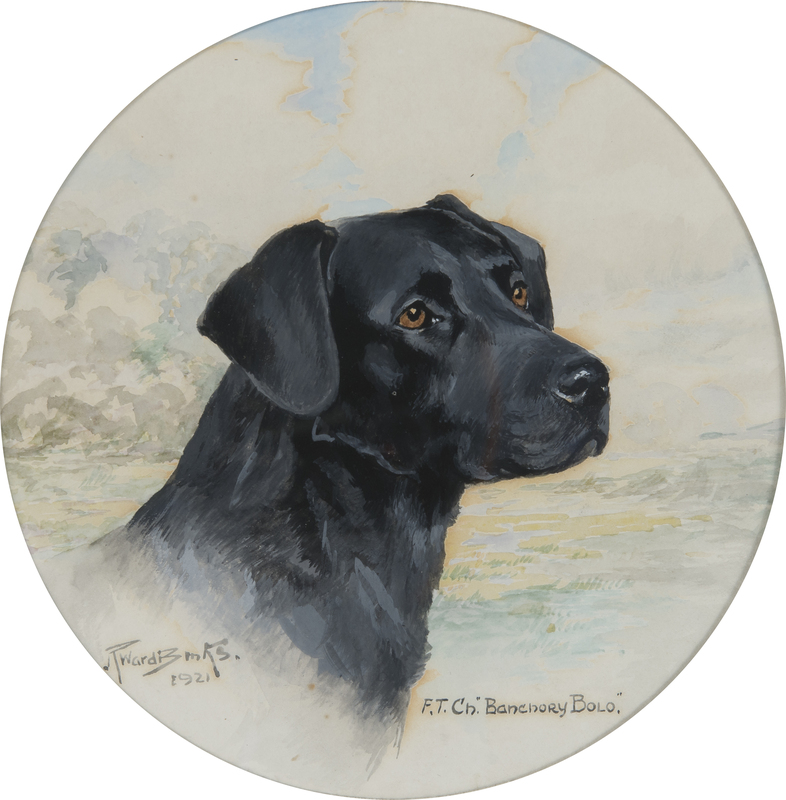 Binks was a popular painter of dogs who was commissioned by patrons throughout England and America to depict prized hounds, gun dogs, and pets. 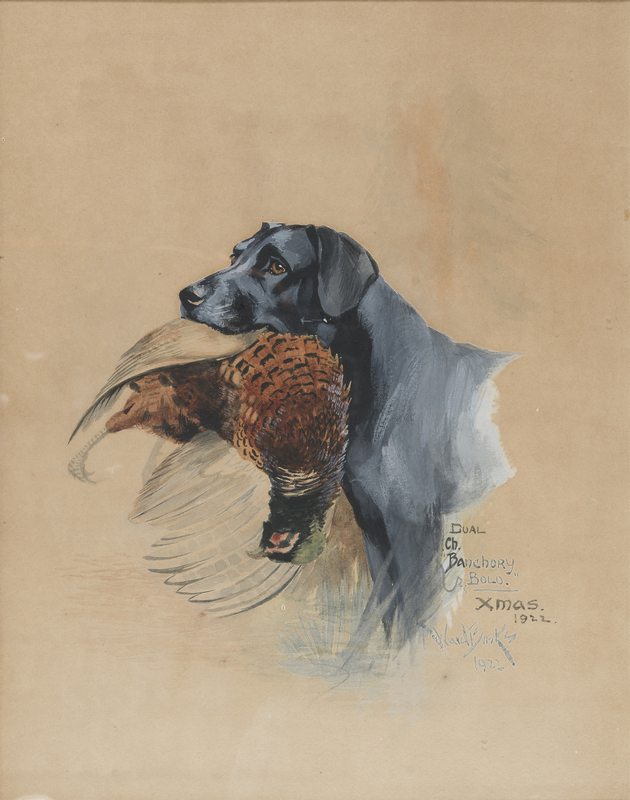 The collection now on view features portraits of sporting dogs, primarily Labrador Retrievers, from the 1920s. Many of the dogs shown were from the Banchory kennel of the English sporting dog enthusiast Countess Lorna Curzon Howe (c.1890-1961). 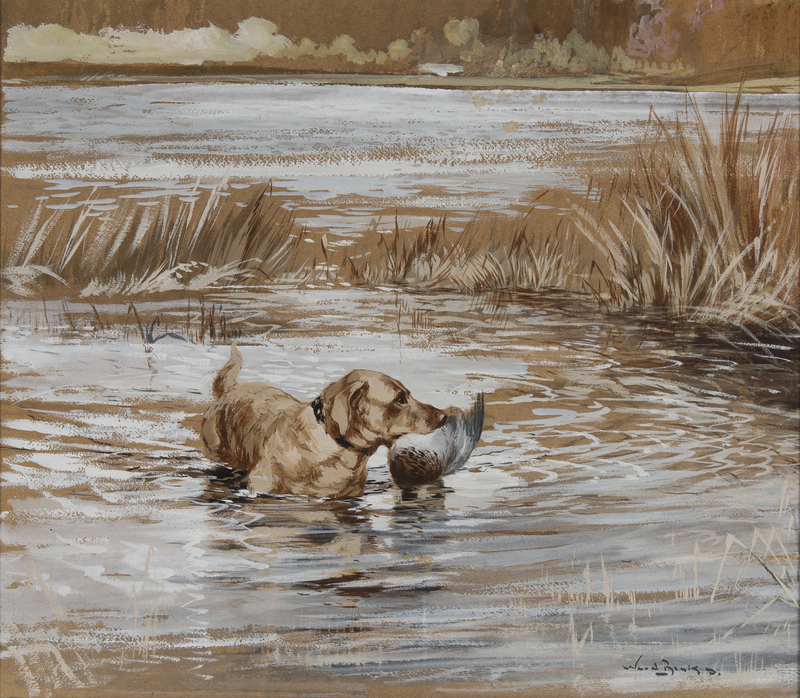 Created during a time when the Labrador was becoming increasingly popular, these charming portraits offer a snapshot of the retriever breed from this era.